"Guy Lombardo, Royal Canadians Bring 'Big Band' Sound to Tivoli," heralded the April 24, 1969, Chattanooga Times article, which described the near-capacity crowd enjoying one of the last big bands of the 1930s. Lombardo and his 12-piece band played a number of old hits including "When My Sugar Walks Down the Street" and "Boo Hoo" mixed with two current selections from "The Graduate," including "Mrs. Robinson" and "Scarborough Fair." The article noted, "The old maestro once again proved that his music was of timeless quality." Gaetano Alberto "Guy" Lombardo was born in 1902 to Italian immigrants in London, Ontario. His father, a tailor and amateur singer, had his four sons learn to play instruments to accompany him. Guy first performed in public at a church lawn party in his hometown in 1914 and later began recording with his three brothers, Lebert, Carmen and Vector. Trained as a violinist, Guy soon became the leader and conductor of Guy Lombardo and His Royal Canadians. 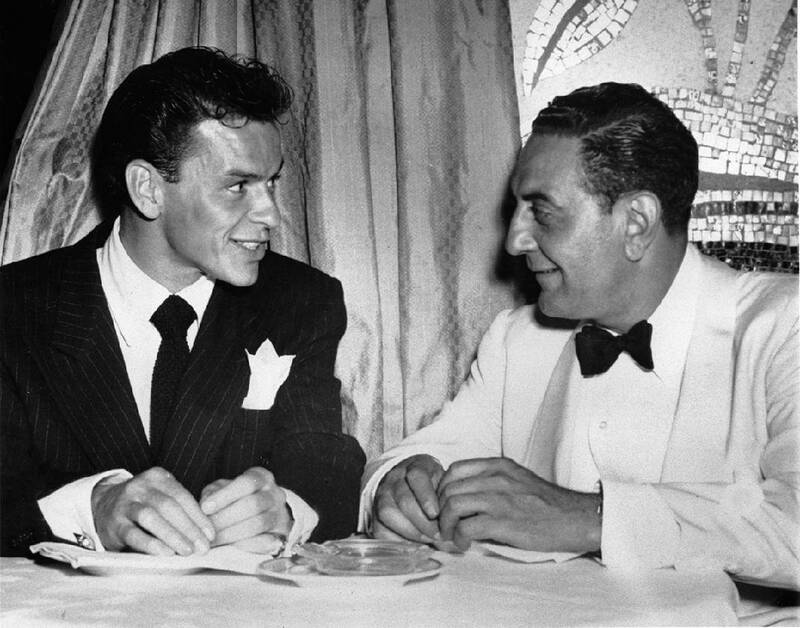 The Lombardo orchestra sold well over 100 million records during the band's lifetime on labels including Brunswick, Vocalion, Columbia, Decca, RCA and Victor. From 1927 to 1940 the band had more than 21 top hits on the American Billboard single charts. From 1956 to 1959 the Lombardo band played live on the CBS television network. Fans of rap, video game and other forms of modern music have derided Lombardo as "King of Corn." However, Louis Armstrong constantly cited the Lombardo band as his favorite for purity of innovation. The Royal Canadians were the featured orchestra at two of New York City's prominent hotels, the Roosevelt Grill from 1927 until 1959, then the Waldorf Astoria until 1976. Their playing of 18th-century poet Robert Burns' sentimental song "Auld Lang Syne" on New Year's Eve became an American tradition. Remote broadcasts from those New York City hotels at midnight were aired live throughout the country, first on radio and then on television. Even today, the playing of "Auld Land Syne" ushers in the New Year at venues throughout the United States and overseas. The late Jac Chambliss, Chattanooga attorney, philosopher and public servant, had a vivid recollection of the Guy Lombardo performances at the Tivoli Theatre. In his 2006, "Columns Left, Essayettes of a 20th Century Man," Chambliss remarked that "he was swept away by the cool woodwinds, the sharp brasses and the rhythm into what Yeats might have called a dreamy quiet delight." From the mid-1940s until the late 1950s, Lombardo pursued hydroplane speedboat racing. He won most of the major championships and became the reigning United States national champion. Highlights of his racing career included winning the Gold Cup in 1946, the Ford Memorial race in 1948, and the Silver Cup and Presidents Cup in 1952. Among Lombardo's many business interests was an investment in the manufacture and sale of fiberglass boats, which achieved only minimal success. Throughout the years, Lombardo engaged in a variety of musical ventures. He and his band were in the 1934 comedy movie, "Many Happy Returns," starring George Burns and Gracie Allen. The Lombardo band also had its own television and radio shows, including a summer replacement radio show for comedian Jack Benny. After moving to Freeport Long Island, N.Y., Lombardo became an investor in a local seafood restaurant as well as a promoter and musical director of the Jones Beach Marine Theater. His final production at the facility was "Finnian's Rainbow." He died of a heart attack at the Houston Methodist Hospital in 1977 at age 75. Efforts to preserve the bandleader's legacy have had mixed results. A museum named in his honor in London, Ontario, closed because of low attendance and insufficient funding. Many of the artifacts from the museum were sold by its curator over the objections of the Lombardo family. Fortunately, descendants of Lebert Lombardo have preserved many items. The Library of Congress has a collection of Lombardo films. The famed musician has been recognized with multiple stars on the Hollywood Walk of Fame in Los Angeles, Calif., and one star in Canada's Hall of Fame. Regardless of what happens to the artifacts, Chattanoogans who attended the Tivoli concerts will fondly recall the sounds of the "Sweetest Music This Side of Heaven" played by one of America's top dance bands. Jerry Summers is an attorney with Summers, Rodgers, and Rufolo. Frank (Mickey)Robbins is an investment adviser with Patten and Patten. For more, visit chattahistoricalassoc.org.